ALL DIGITAL is a leading pan-European association based in Brussels, representing member organisations across Europe that work with 25,000 digital competence centres. ALL DIGITAL focuses to support Europeans that have an insufficient level of digital skills. 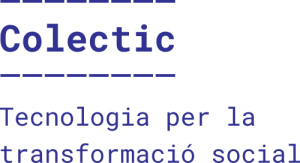 Colectic (formerly known as El Teb) is a nonprofit cooperative that works for the inclusion, autonomy and empowerment of people and communities in the social, labor and technological fields. We understand and use technology as a tool for participation and social transformation. Maks vzw is a non-formal adult education and youth center for disadvantaged target groups. It has developed a digital storytelling methodology focused on intercultural education and the promotion of human rights and a program where young people are trained to teach children to code.